Anna Roselle Johnson was born in 1901 in Baltimore, Maryland, the fifth of seven daughters of a chiropodist and a homemaker who valued education. As a teenager, her parents sent her to Philadelphia to live with an aunt so that she could attend the integrated West Philadelphia High School for Girls. 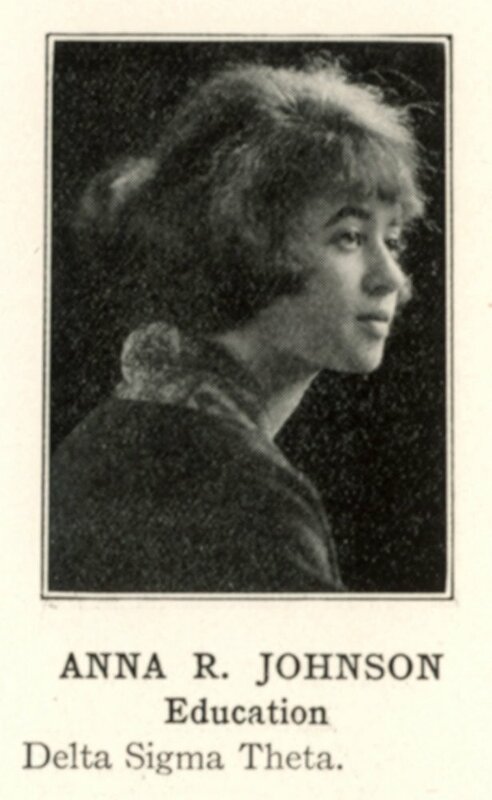 The September after her 1919 high school graduation, she matriculated in the University of Pennsylvania’s School of Education. 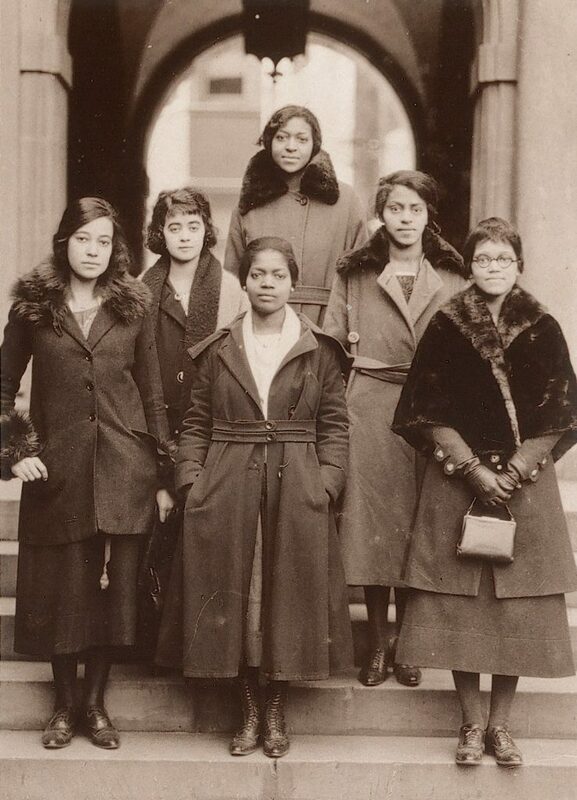 While a Penn undergraduate, Anna Johnson was a member of the gamma chapter of Delta Sigma Theta, Penn’s first black sorority, organized in 1918. In 1929, Anna Johnson would be elected the fourth national president of Delta Sigma Theta, holding this office for two years before stepping down in 1931. Johnson earned the degree of Bachelor of Science in Education in June 1923. A year later, in the fall of 1924, she enrolled in Penn’s Graduate School of Arts and Sciences on a University Scholarship in sociology. After earning the degree of Master of Arts in Sociology in June 1925, she was a case worker for the Family Service Association of Washington, D.C., from 1925 to 1928 and a teacher in Bordentown, New Jersey, in 1928 and 1929. For an entire decade (1929-1939) Anna (Johnson) Julian held the position of research assistant in the Department of Research of the Public Schools of Washington, D.C. In 1937 she was also an instructor in educational sociology at Miner College in that city. On Christmas Eve of 1935 (during her decade in Washington and before completing her Ph.D.) Anna Johnson married Percy Lavon Julian, a prominent African American research chemist and a professor of chemistry at Howard University. The Julians moved to Maywood, Illinois, in 1939 and to Oak Park, Illinois, in 1950. Anna and Percy Julian raised three children, their daughter Faith Julian, their son Percy Julian, Jr., and their nephew Leon R. Ellis. It was in Oak Park, an all-white suburb of Chicago, that the fire bombing of the Julian home on Thanksgiving Eve, 1950, gained national attention. The Julians hired bodyguards, but because of their dedication to the right of people of all races to live where they choose, the family remained in Oak Park despite three incidents of fire bombings. Their experience led Anna to join with neighbors in her community to form the National Conference of Christians and Jews; her husband responded to the fire bombings by raising a million dollars to finance civil rights legislation. During the 1950s Anna Julian served as vice president, treasurer, and bookkeeper of her husband’s Julian Laboratories, but she always remained involved in civic and educational activities. During the 1960s Anna Julian served first as treasurer and then as vice president of the Links, Inc., a national organization of women devoted to civic, cultural, and educational purposes. At the time of her death in 1994, Anna Johnson Julian was still living with her daughter in the same Oak Park house her family had lived in since 1950.